For patients who spend long stretches of time sitting down, the use of a pressure relieving cushion may be necessary to prevent the development of pressure sores. The Systam Duoform Gel Pressure Relief Cushion is constructed using an innovative combination of gel and high resistance foam to provide excellent pressure relief. This is an incredibly versatile and capable pressure sore cushion and can be used when a patient is at an increased or high risk of developing pressure sores. 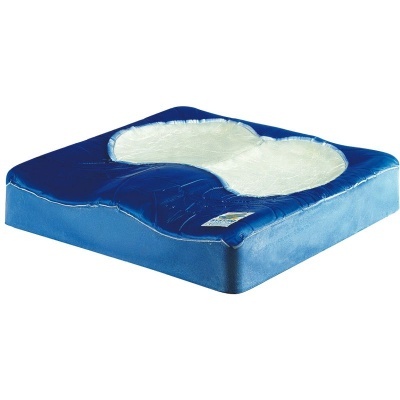 This cushion features an anatomically moulded base of high resiliency foam combined with a two-part layer of viscoelastic gel, providing an extremely comfortable pressure relief experience. 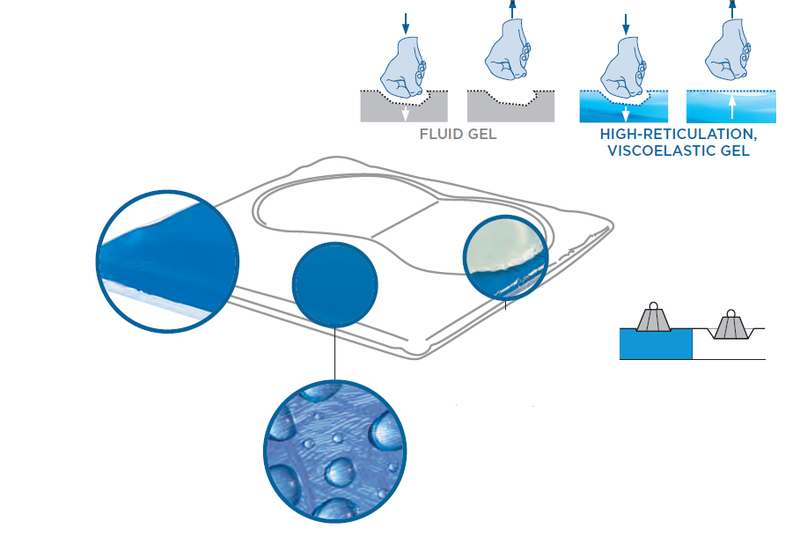 Visco Foam boosts the comfort that the gel can provide, ensuring stability and maintaining even pressure distribution. The anatomical shape of the cushion improves patient positioning and maintains a comfortable seating experience. The Systam Duogel Pressure Relief Foam and Gel Cushion is 100% impermeable and completely adapted to incontinent patients. Additionally, the cushion comes with a two-way stretch, vapour permeable and waterproof cover, making it extremely convenient and hygienic. The breathable materials in the cover prevent the patient overheating or sweating, reducing any risks of maceration and skin breakdown. The white area of the top of the cushion is made from a low-bearing viscoelastic foam and self-contained, leak-free polyurethane gel, resulting in minimal pressure on high risk areas such as pelvic protuberances. The blue area is made of a highly reticulated viscoelastic gel, which resists fluid migration thus preventing penetration and bolstering patient stability. The image below demonstrates the density differences in the top layer of this cushion. The multi-bearing surface of the Systam Duoform Gel Pressure Relief Cushion ensures greater pressure distribution by shifting pressure away from areas with low weight-bearing capacity towards those with higher capacities. The top gel layers and the foam base are moulded together, ensuring they are completely bonded, eliminating the risk of separation over time.